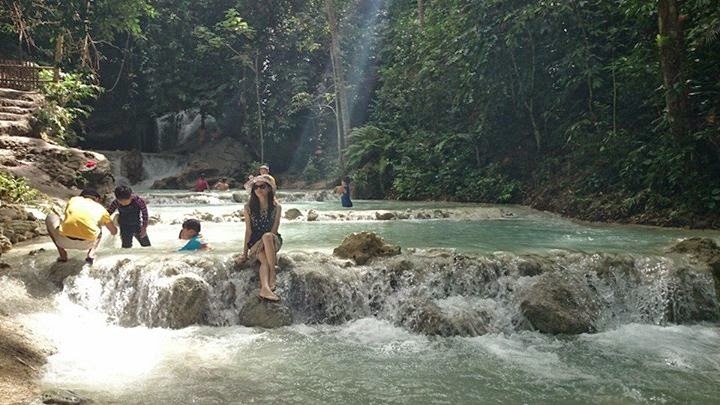 The Aguinid Waterfalls is a multi-tier waterfalls in Samboan Cebu. 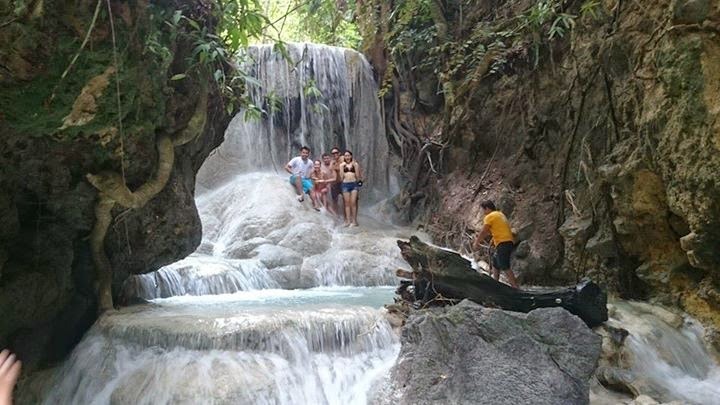 Aguinid Falls is composed of five different tiers (6 or even more, depending on who you talk to) along the Tangbo River, with each level having a unique view, look and cascade. 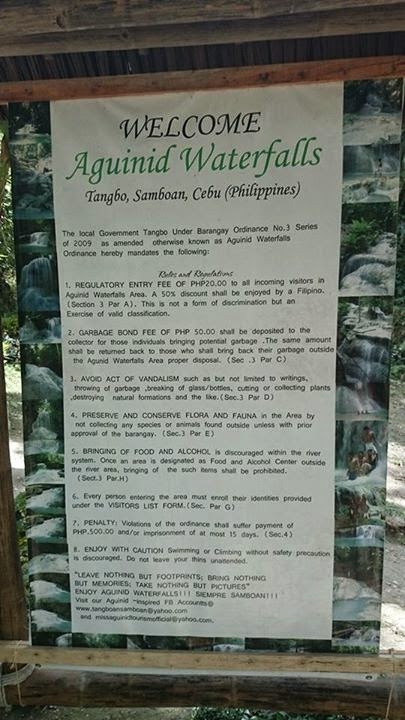 The Aguinid Falls is located in a small barangay called Tangbo and is easily accessible through a small road-side sign (which can be clarified by people you encounter along the way). You will have to pass through a covered basketball court (in which as of this writing can be a place to park vehicles as well) and follow a short road will which ends at the ‘jump-off point’ which takes about 3 to 5 minutes tops. I wouldn't call myself a waterfall chaser just yet, but I just like to find these spots in our own backyard in the island of Cebu. For this trip, I wanted to visit all the falls in one weekend. 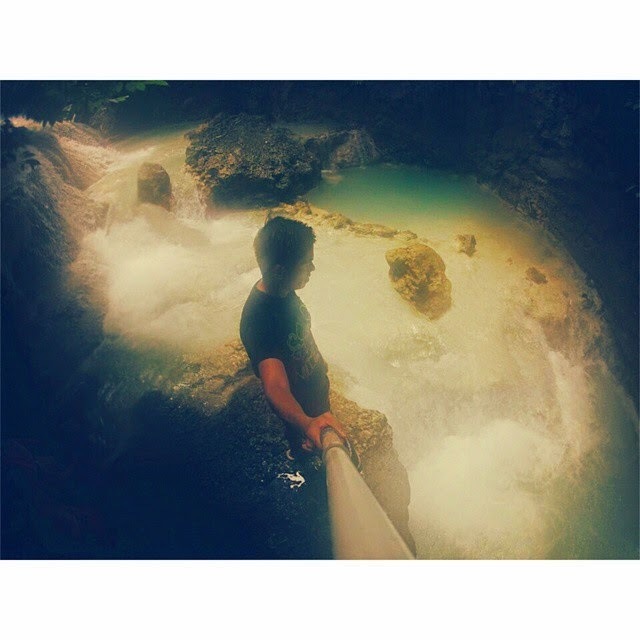 Pretty ambitious but of course, some unforeseen things happened and found myself together with a group the Aguinid Falls in Samboan Cebu. 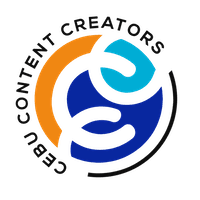 I've done some research about this falls from other Cebu/local bloggers and weekend travelers and found some pretty interesting stuff. 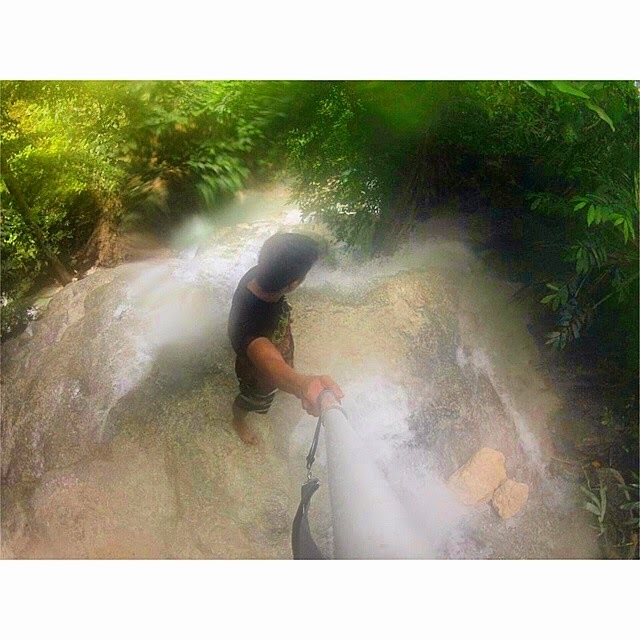 Before 2007 or so, the Aguinid falls was virtually 'just a local waterfalls' explored, and used by the locals and up until around 2013 or so, occasional traveler, bloggers and adventure seekers have visited and documented these falls in it's untouched stated more or less. Also, level four was damaged by the recent typhoon so it didn't look like the image in the tarpulin. This is level 3 is where the tricky parts starts, to the side of this is where you need to climb some boulders, rock-walls and some huge tree/vine to navigate up to the next levels. @ Level 3.75 view from top to bottom, that is far down below! 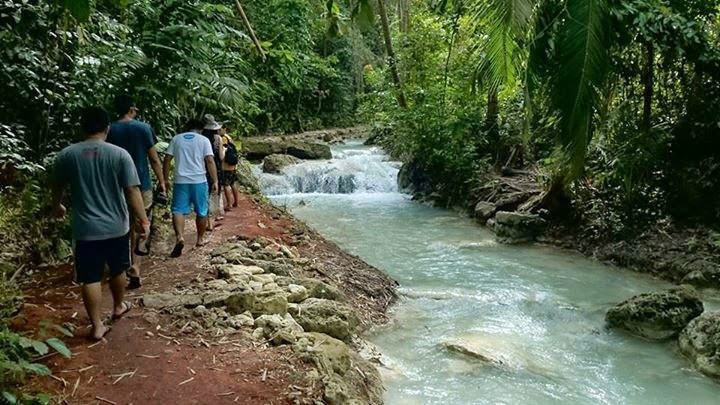 When we went there, an eco-tourism mechanism has been put in place by the local government to ensure the safety of visitors and perhaps the protection and maintenance of the falls as well. Which are good developments by the way since they have guides to help you out (navigation, first aid and tourism) while contributing to the local economy and livelihood of the local guides. 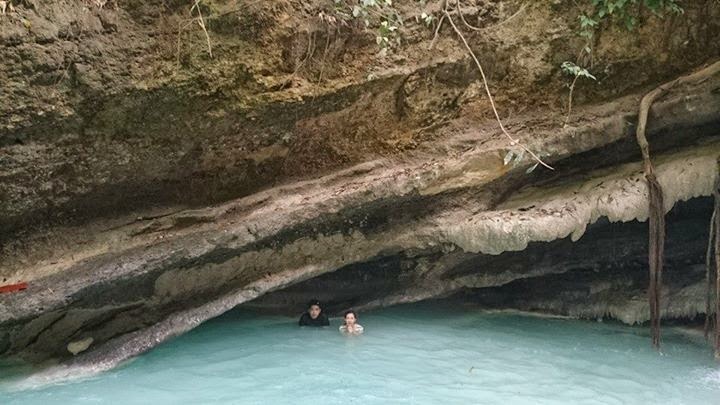 natural jacuzzi-ish spots at level 4 of Aguinid Falls - because the falls got damaged from a recent typhoon I didn't take a photo of it. 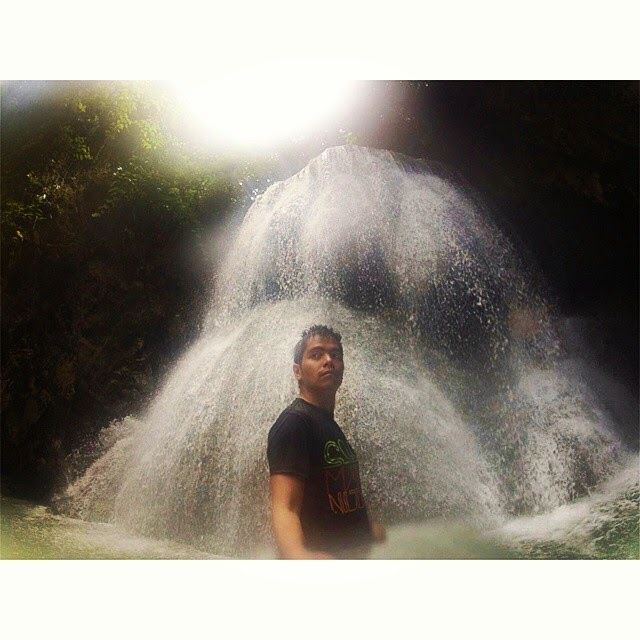 Welcome to level 5 of Aguinid falls and ooh you can go explore the tight spots behind the falls! 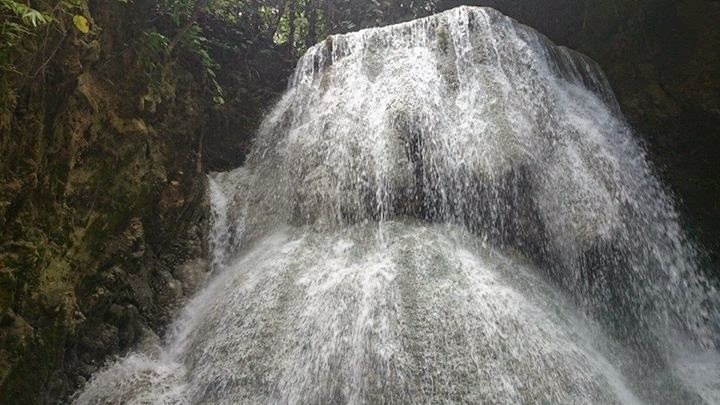 Aguinid Falls is a cascade-type, multi-tiered waterfall located in Barangay Tangbo, Samboan. Until 2007, nobody knows exactly how many tiers these falls have, even when I was there I swear there are more than five. 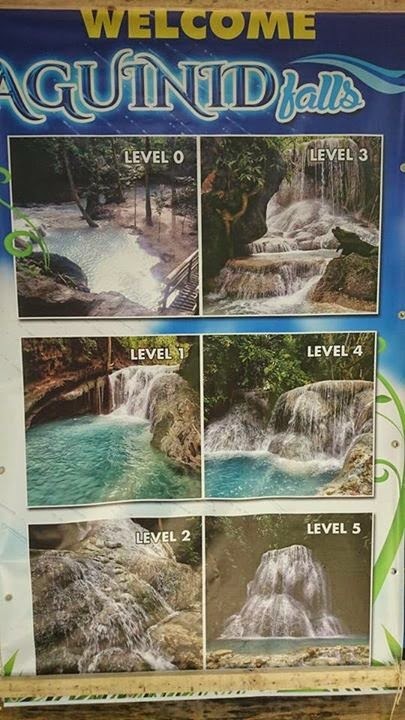 But I guess the major 'waterfalls' are five or so but with the local eco-tourism in place, technically there are six tiers now (from level zero to level 5). 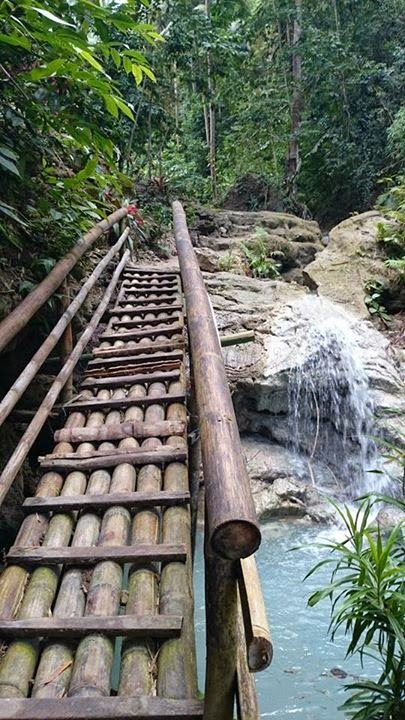 These waterfall tiers in Aguinid are located widely apart that it may take some time (depending on your physical fitness or pace) to get to the next on. The deepest spots in any of the waterfalls as told by the guide should be around 5-7 feet and you can ask before diving if it is safe or how deep it is. 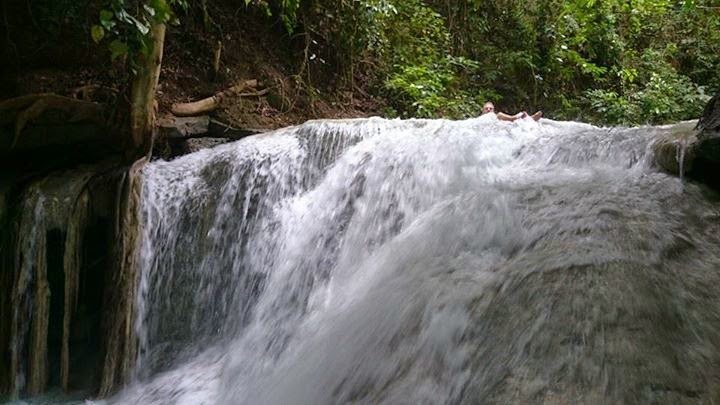 The Aguinid Falls is a system of waterfalls which runs about two kilometers from the national road. 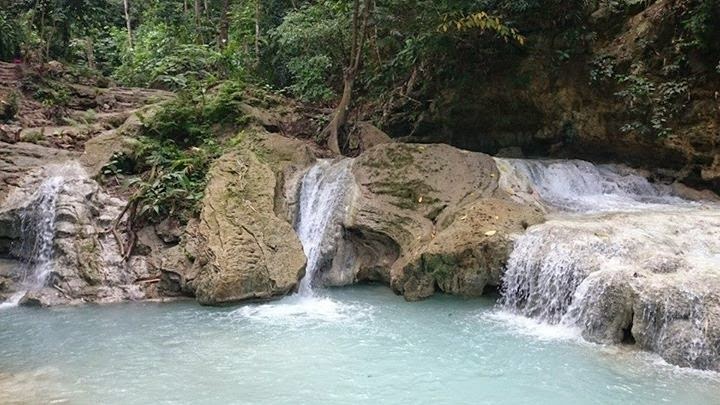 The beauty of Aguinid does not lie in it's big waterfalls (although they are beautiful), but in the small ones for unlike the other popular falls in Cebu, they have unique shapes and cascades unlike any other. The biggest waterfalls is at Level 5 which is also a sight to behold. At level 2 you can find a water cave as well, but we didn't explore that since there was only one guide a lot of tourists and foreigners wanting to go for that. Generally speaking the falls is "okay" to navigate for me. However, people who tell you that this falls is not a long trek or a quick endeavor, well I'd advise you to think again. There will be slight 'rock climbing,' a lot of 'wading' and bouldering (well swimming too) to navigate the terrain of the Aguinid Falls. 8. Talk to your guide and ask questions - you will learn a lot about the place's history, heritage and some interesting superstitions as well! 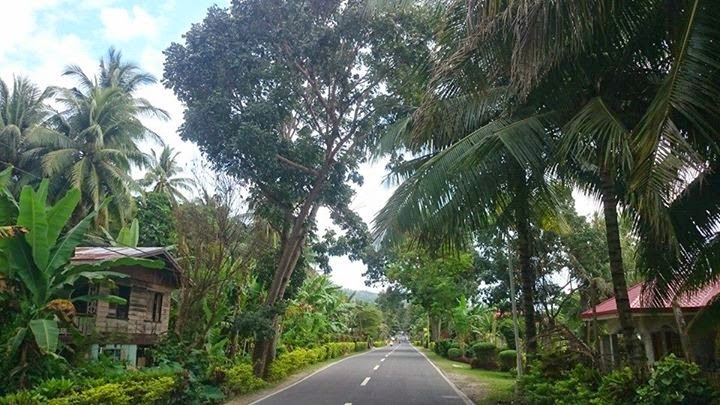 They'll even direct you to other spots in Samboan to visit! Well, people have their preferences --like me! Hahahaha But seriously what annoyed me the most were my indoor tsinelas that was not built for the outdoors since I thought this was manageable but I was wrong. 2. 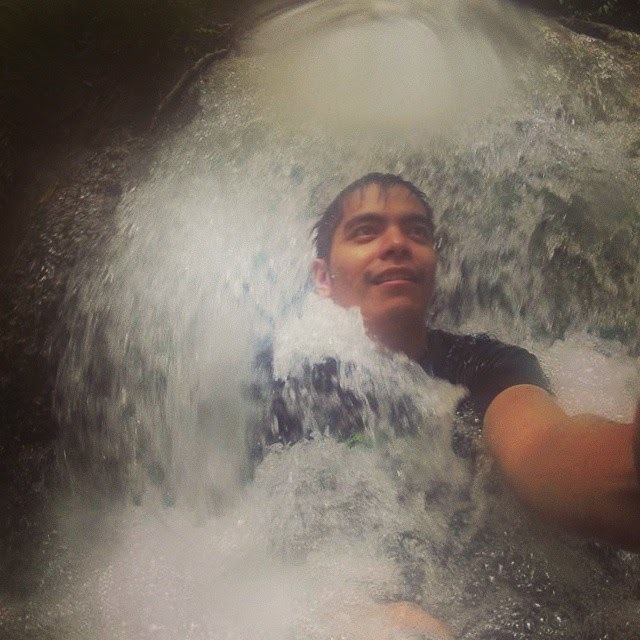 Water casings for cameras or waterproof cameras - the falls you will navigate through are shallow falls but the higher you go, the higher chances of your gadgets being wet since you will climb multi-levels of waterfalls. 4. Outdoor or Trekking shoes or that water sport shoes - you will be wading a lot and stepping on small rocks which is a pain if you have sucky, non-outdoor sandals or tsinelas. 5. Bring your sense of exploration and adventure! The guides were incredibly helpful (and yes you get an official receipt from the local government), in taking self, and group portraits as well as guiding us in navigating some crazy slippery terrain. 1. Air-conditioned bus: Php 180.00 (one-way) from Cebu City, it's also accessible from Dumaguete City as well in which I am not sure of the RoRo/fastcraft fare (which I'm told to take just 20 min.). 6. Bring a contingency or extra cash just in-case! 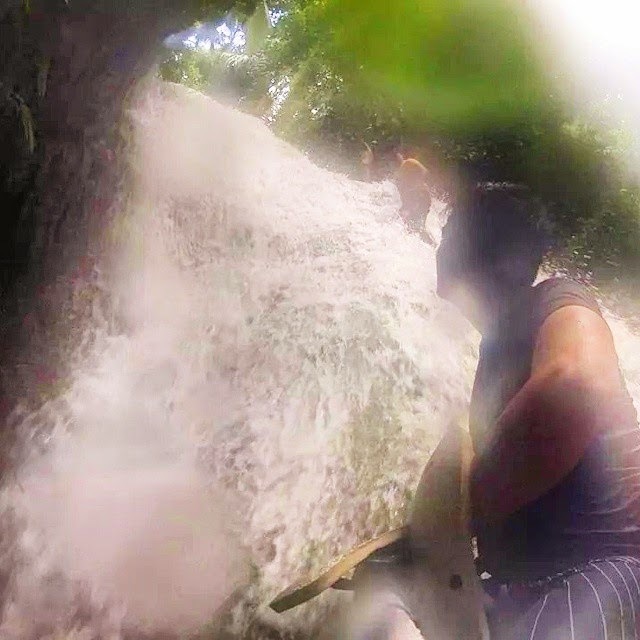 Like in Tumalog Falls in Oslob, I traveled on an invitation of a friend with her barkada which were strangers to me but no longer during the journey. 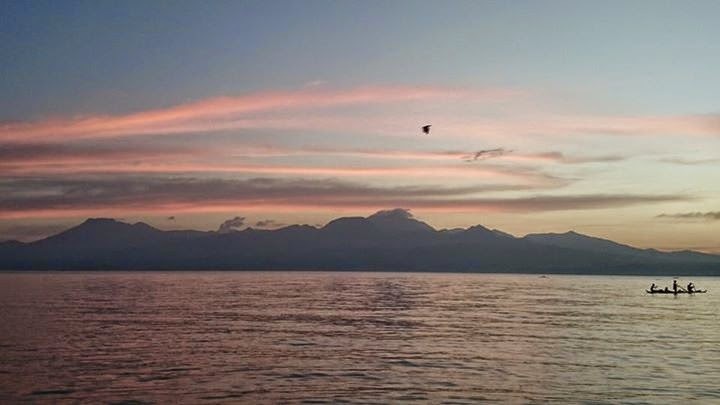 It was definitely a unique experience, traveling and getting to know strangers at the same time dealing with unforeseen circumstances. 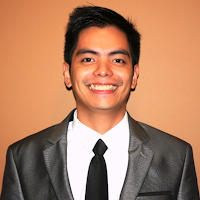 It is good that the local LGU has helped in developing as well as regulating the place. What can be done better I believe is to have just a quick reminder to visitors of their responsibilities as well. Like safety, as well as emphasizing on not vandalizing or throwing one's garbage/wrappers anywhere to help make this eco-tourism initiative sustainable!